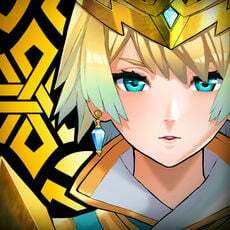 For those used to rerolling other gacha games, this one will be a breeze: Epic Seven has built-in rerolling with Selective Summoning. Thirty 10-pulls should be enough to get a desired set, but if luck runs dry, the game’s data can easily be reset from the Options menu. Getting to 1-10, the point at which Selectives become available, takes about 30 minutes of gameplay. 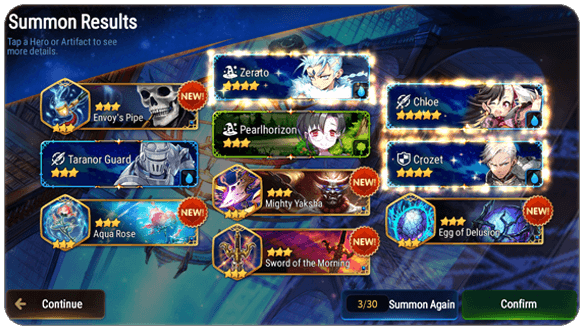 The way it works is: Each 10-pull can be either kept or discarded, with the remaining number of pulls listed at the bottom of the screen. Ideally one should roll for one 5★ character with any number of extra 4★ Heroes, but a single preferred 5★ still provides a good start. Step 1: Open the app and begin the game using a Guest Account. Step 2: Progress to 1-4 in Adventure Mode. There will also be a handful of Summons available by claiming Covenant Bookmarks through the inbox under the GM tab. 1-5 will be the first chapter with Autobattle, so after this point the process is mostly hands-free. Step 3: Complete 1-10 and roll Selective Summoning. 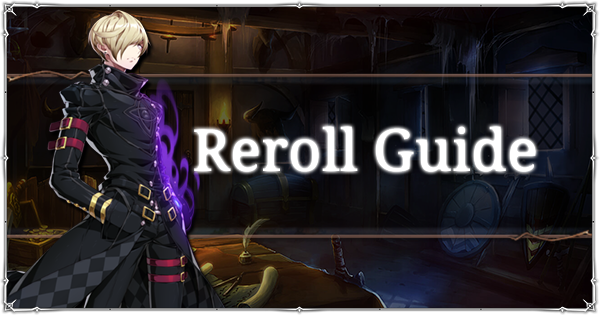 When rolling, keep in mind that one 5★ is the maximum for each roll. Moonlight Summons also aren’t available until 10-10, so Light and Dark Heroes won’t drop. Step 4: After rolling, choose to either keep the account and continue playing, or reset account data by following the steps below. When the desired roll has been obtained, be sure to set your nickname (which can only be chosen once!) and bind the account to an email address so it can be recovered. If nothing interesting came out of 30 rolls, it's worth trying again. To start over an account, open the blue menu from the upper-right of the Lobby screen, then select Settings at the bottom. Finally, there will be a red button to Reset account data. Those who logged in with a Guest Account will lose nothing, whereas resetting a Google Play, email or social media account will clear the data bound to that account. 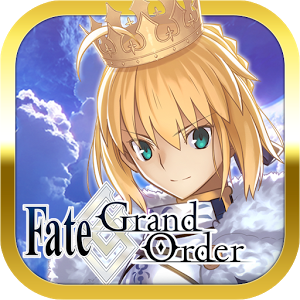 If there's a good 5★ on there, it may be worth saving that account by binding, deleting the app and reinstalling to roll again as a Guest. In the event of a failed roll, the old account can still be accessed using the associated email. It's worth mentioning that if there's a favorite Hero or character you like... Roll for them! 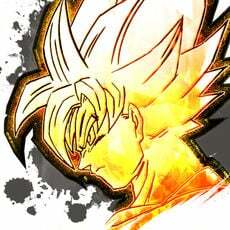 Having a character who motivates you and makes the game more fun is often worth more than picking the "optimal" Hero. Since the Selective Summons allows one natural 5★ roll, this will be the biggest choice. Either aim for the character who best suits your plans or, if playing more casually, roll until a good Hero drops and choose that one. Any of the above make for a strong start. With her support abilities and Water element, Angelica is the must-have for Wyvern Hunts, which are one of the main stages for obtaining gear (and thus progressing in terms of CP). 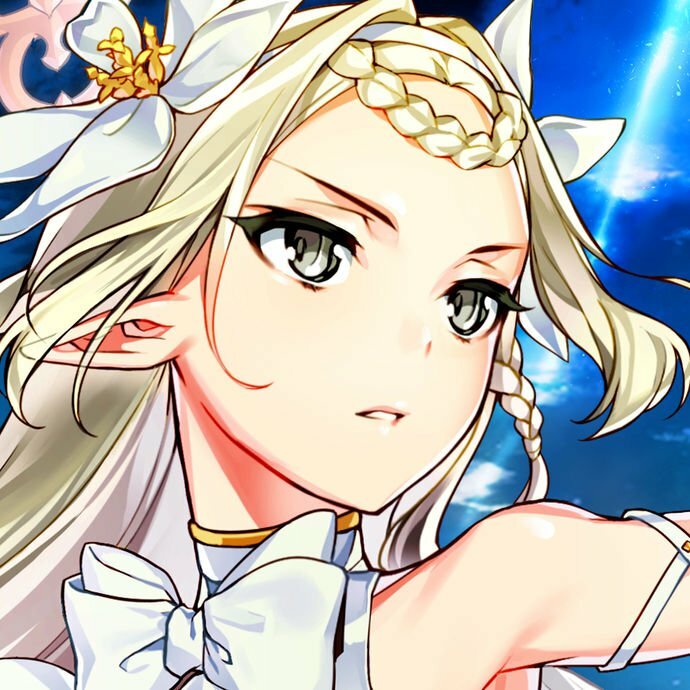 Although Destina is the natural 5★ Soul Weaver and still a decent roll, many prefer Angelica for her utility and ability to be rolled alongside any natural 5★. While 3★ Heroes aren't going to be deciding the fate of a roll, it's worth keeping an eye out for some who will jumpstart Adventure mode or come in handy later.